This monolithic structure is what happens when you want a wall of windows. How does the structure stand up, with all of those non bearing windows occupying all of that horizontal wall space? Steel, not cheap, is often the best solution, as opposed to a big herky wood beam and/or posts. 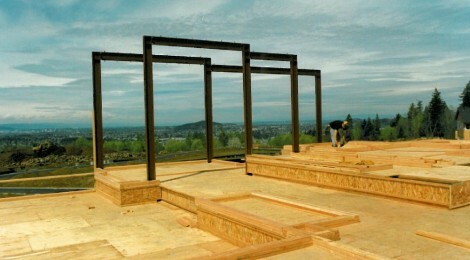 These moment frames require a structural engineer to do the loading calculations, and set the attachment methods to the foundation and the internal attachment to the wood framed structure. This is a serious structure. The welding of the steel frame must be inspected for full penetration to ensure a solid and stable frame for the weight of the windows and the stability of the walls in an around the moment frame. Property owners back then wanted the same things that developers and architects want today – the maximum amount of rentable space on their land and plenty of natural light…Steel-frame building construction using rigid frames, or moment frames, was the answer to these demands. While originally intended for use in high-rise construction, the use of steel moment frames has evolved to encompass a large number of residential and light-framed, mixed-use projects because of the flexibility they give designers. 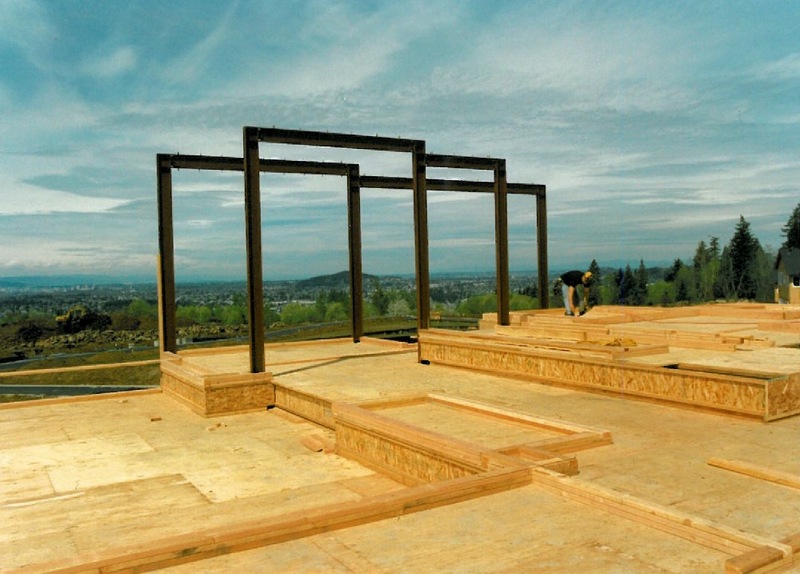 Best of all, this technique works during earthquakes and major wind events, so sleep well in your custom home protected by solid moment frames.